This being the first post of the year is also the most important to date. I am showing pictures of the first apartment designed by Neenä! It is the work of 6 months, years of inspiration, thousands of interior design magazines read or watched (as most of them where Norwegian issues of Interiør and Vakkre Hjem) and countless hunting trips to La Lagunilla (my favorite flea market in Mexico City) materialized in an apartment designed by scratch. It is a three room apartment in Acapulco, Mexico. 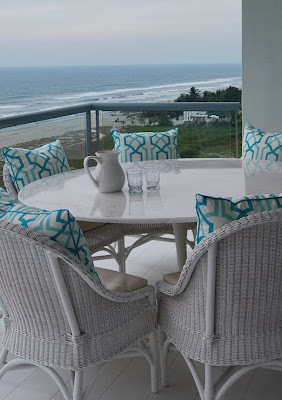 Right on the beach, with a nice balcony overlooking the ocean. We did everything except the kitchen, and went as far as buying sheets, towels and choosing the dinnerware. The owners were thrilled with the end result and needless to say, so was I. 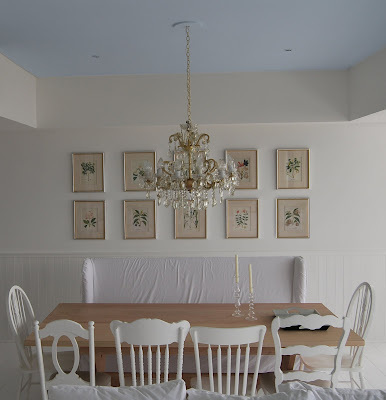 We went for a scandinavian cottage look, with some contemporary details very white and a little color here and there. I wanted our clients (a lovely couple with three young boys) to feel welcomed comfortable and relaxed at their vacation house. All of the other apartments in the building where designed in a very contemporary way with brand new furniture and no character, so it is a nice surprise when people enter this one. 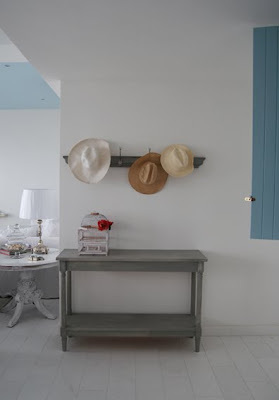 The floors, that look like white painted wood planks are actually marble which is a much better choice for Acapulco's weather as it will not be affected by humidity and feels so fresh to the touch. 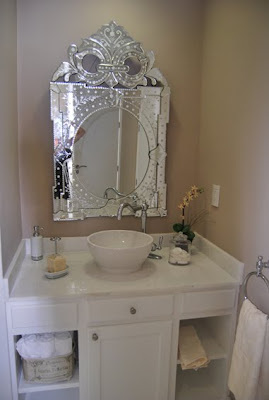 Almost every piece of furniture is white, most of it was found at flea markets or antique stores and some of it was made to order. 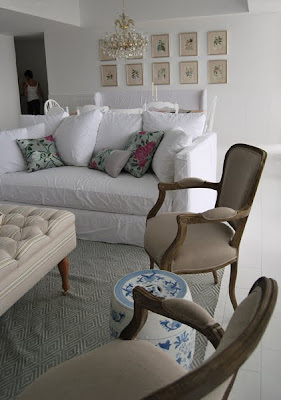 We used a lot of linen and cotton throughout the house, I really prefer natural fabrics. 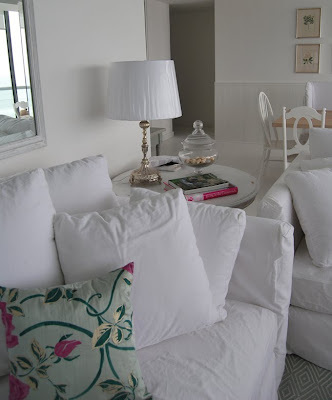 The cushions in the living room are made with Designers Guild Arabella silk fabric. 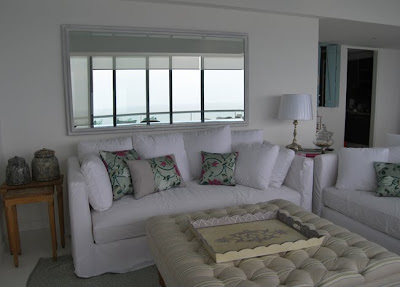 The sofas have removable cotton slipcovers that can be washed at home and they are super comfortable. 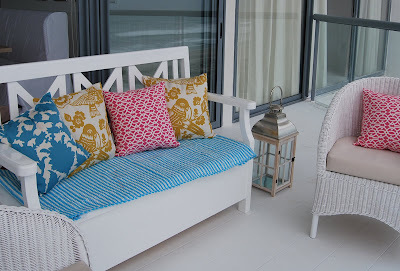 I used a lot of wicker furniture on the terrace and updated the look with a vintage Tulip table. The new ones from Knoll have a metal base that cannot be used outside but this one is from the sixties and it is made of fiberglass. 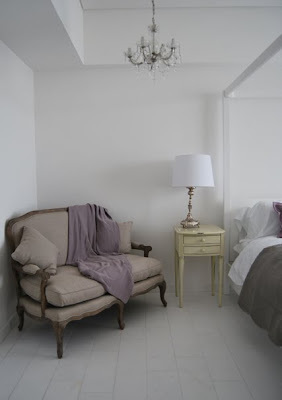 In the master bedroom I found a XVI century English secretaire and paired it with the beautiful Louis Ghost chair designed by Phillip Starck for Kartell. 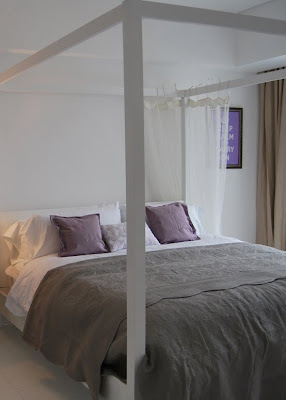 We chose lavender color here because it is both relaxing and warm enough to use in a bedroom and mixed it with charcoal gray (a very 'of the moment' combination). And of course I had to hang a Keep Calm poster somewhere. 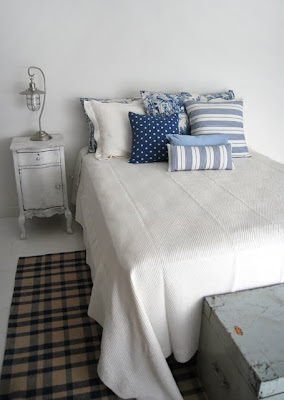 The children's room turned out lovely in blue and white and all the diferent fabrics on the cushions work really well together. 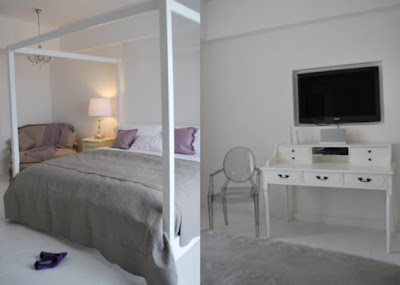 There are still a few things that need to be worked out, we are waiting for an iron bed and a sleight bed for this room and some artwork and other details for the living room, but I was dying to show you how it came out. I hope you like it as much as I did. You did a great job - it's soooo pretty!!! where do the owners live? IN Mexico? i just love this!!! congratulations. Adding in the charcoal ghost chair was a great idea, what a nice way to offset the white. I think a clear ghost chair would have been too much. This does look like a great place to relax in and the furniture doesn't look like it would distract much from the view. Well done! Thank you all for all your comments. It means so much to me to hear from you. Yes, the owners live in Mexico City and this is their vacation home. Kleiman, wooooooooooow! Ya vi bien las fotos con calma y quedó impresionante. Dile a Meche también que felicidades por esto y por el nuevo bebé! Felicidades Galia, está de verdad muuuy bonito, me encantó. Qué detalles tiene tan padres, ole.